Drag drop management with the free iklips app get the free iklips app on the apple store iklips allows users to conveniently share and transfer files between an iPhone, iPad, pc, and mac. Through a free iOS app, you can instantly store valuable photos and videos from your iPhone and iPad onto the iklips and transfer them to your home computer. Enjoy faster, hassle-free data transfers and sharing you can directly view photos and documents, playback music, TV series, and movies stored on iklips on any iOS lightning device without having to worry about the device's storage capacity. iPhone and iPad data can be backed up at any time without having to use a computer, iCloud or iTunes. Iklips files and folders can be directly managed on the device. Indiegogo 100%+ funded!! congratulations to Adam elements and their iklips which shot past its goal to secure additional support from the crowd source funding site, indiegogo. Iklips wins red dot 2015 design award red dot design award 2015 winner iklips was submitted to red dot for their prestigious design awards for 2015 and won! the iklips was designed for durability, ease of use and visual appeal with its aluminum casing, dual plug setup, travel clip and stunning color variety. 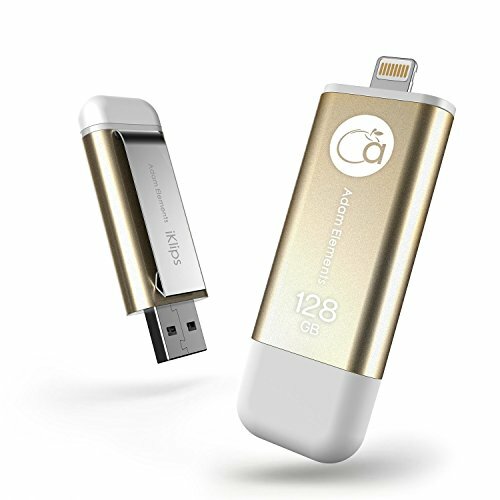 Apple mfi-certified iklips is apple mfi-certified (made for iPhone/iPad/iPod) and backed by Adam elements' highest level of quality assurance.